::: Off the Radar :::: A Place to Bury Strangers Return! 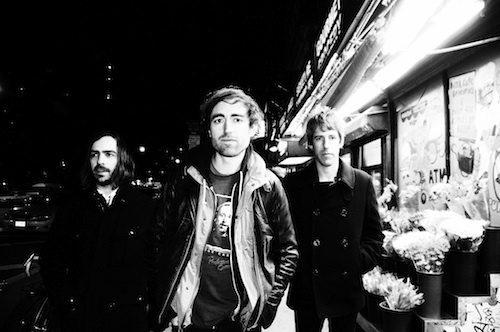 A Place to Bury Strangers Return! One of our faves Brooklyn, NYC trio A Place to Bury Strangers are back with a new album 'Worship' scheduled for release in June. The first taste of the new album is first single "You Are the One" which pretty much blew me away. Amazing dark psychedelic rock track that definitely got me excited for the new album. Check it out below and see if you agree. Best part is the track is a free download! Thanks guys, I hope June comes quick because I will playing this one incessantly till then.